Notions of identity carry complex political, social, and familial meanings. The following terms are defined for clarity only and not to force anyone into a particular regional and ethnic grouping. Self-identification is appropriately a matter of individual decision. Arab, Middle Eastern, and West Asian refers to people from the Middle East, also called West Asia, and includes peoples who trace their origins to the countries, diasporas and/or ethnicities of these regions. Asian includes peoples of Central Asian, East Asian, Southeast Asian, South Asian, and West Asian ancestry, i.e., those who trace their origins to the countries, diasporas and/or ethnicities of the above regions. Muslim, which includes the Sunni and Shia’ sects, refers to people who self-identify, culturally or religiously (whether they are practicing or not), as Muslim. Not all Arabs are Muslims. They can be Christians, Druze, Baha’is, or Jews. Christian sects in the Middle East include Antiochian Orthodox, Assyrian, Chaldean, Coptic, Greek Catholic, Greek Orthodox, Maronite, Melkite, Roman Catholic, Syrian Catholic, and Syrian Orthodox. Not all West Asians, such as Iranians/Persians and Turks, are Arabs. Indigenous Muslims refers to African American Muslims. Immigrant and refugee Muslims in the U.S. come from Asian countries such as Afghanistan, Bangladesh, India, Indonesia, Pakistan; MENA (Middle East & North Africa) Region: e.g., Egypt, Iran, Iraq, Palestine; Africa, e.g., Somalia; and Europe, e.g., Bosnia. 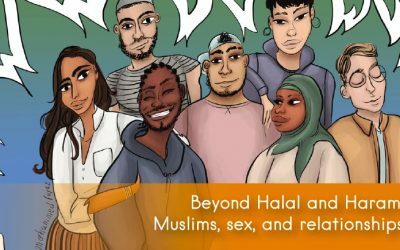 We have collected resources for Muslim communities because so many Muslim immigrants living in the U.S. come from various regions in Asia: Central, East, South, Southeast, and West Asia, i.e. the Middle East. 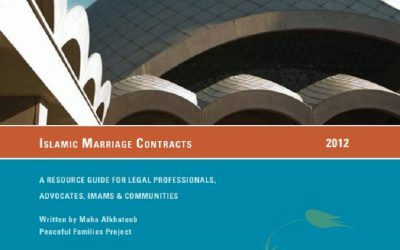 A resource for legal professionals and advocates working with Muslims, containing information about Islam and gender equity in marriage and divorce. Articles and presentations on Islamic law and American courts by Abed Awad, esq.